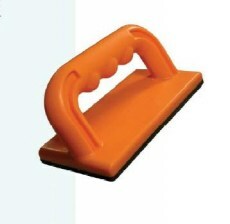 Push stick for use pushing work past saw blades, 300mm overall. Push block for passing work over jointer knives. Cushioned base, front and rear handles. Push block for passing work over jointer knives. Cushioned base. Push block for passing work over jointer knives. 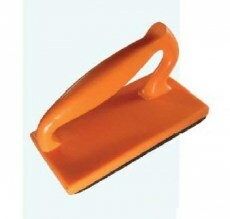 Cushioned base angled handle to clear fence and blade or cutter.